In today's youth sports culture, parents seem to be in a race to competition. Steve Locker helps reassure parents that a patient approach to sports can work by examining the stages of child development and how they relate to athletic development. Steve uses his nineteen years of collegiate coaching experience, twelve years of child development experience, and his work with more than 15,000 children to understand the process on all levels. Steve Locker is the founder of Locker Soccer Academy (2004) and Second Nature Sports (2013). He has 16 years of collegiate head coaching experience, including 7 years at Harvard University. He has spent the past eleven years working intensely with young children, and has personally worked with over 15,000 children in that time. Steve played collegiate soccer for Penn State and internationally for Hannover 96 in Germany. Steve holds the distinction of being the first American to earn a professional coaching diploma from Germany. His recent book, “Playing For The Long Run” compliments his efforts in fulfilling his passion to educate parents & parent-coaches in youth sports. Empower mentors and coaches to adopt a proven sports philosophy that nurtures childhood development. Changing Youth Sports Begins With You. Be part of the solution and start inspiring kids, instilling skills, and building success. Find out who I am, my mission, my methods, and the results of a decade of advocacy. It’s a new way of thinking about youth sports that focuses on how children develop naturally through play. 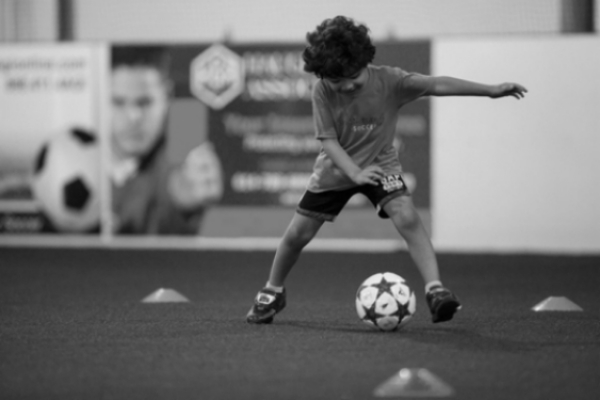 By creating a fun environment where kids build motor skills, social skills, coordination, confidence, and self-esteem, my methods enables them to succeed on and off the field. Ready to take the next step? Schedule a consultation, private speaking event or clinic. Steve Locker sees the world through a child’s lens. As a soccer coach for over 3 decades, he’s also tired of seeing kids walk off the field and never return, mainly thanks to the behaviors of adults. His idea to re-invent how we think about youth sports may start on the soccer field but has applications on every field and court. Is a passionate crusader for age appropriate curriculum, child development, parent development and coaching education in the world of youth sports. Has combined an entire career of playing, collegiate coaching and working with young children into my mission to improve our youth sports culture. Played for Penn State University & Hannover 96 in Germany. professional coaching license from Germany. Spent 10 years on the Academy coaching staff with the National Soccer Coaches Association of America. an entirely different meaning than simple wins and losses.